Rock, Paper and Scissors. Choosing a religion or a branch of a religion can be like playing rock, paper and scissors. One religion is like a solid inflexible rock; that one looks inviting on paper and another one can be cut to fit. Growing up in America we have so many choices. We try one religion; dabble in another, read these prayers and those meditation practices. Pick up a little theory here, weigh this tradition there and try to think this out logically. We are free to decide what fits us. We are free to play rock, paper, and scissors with faith. The Baha’i House of Worship in Willamette has nine sides and nine doors welcoming people of all the known nine world religions. 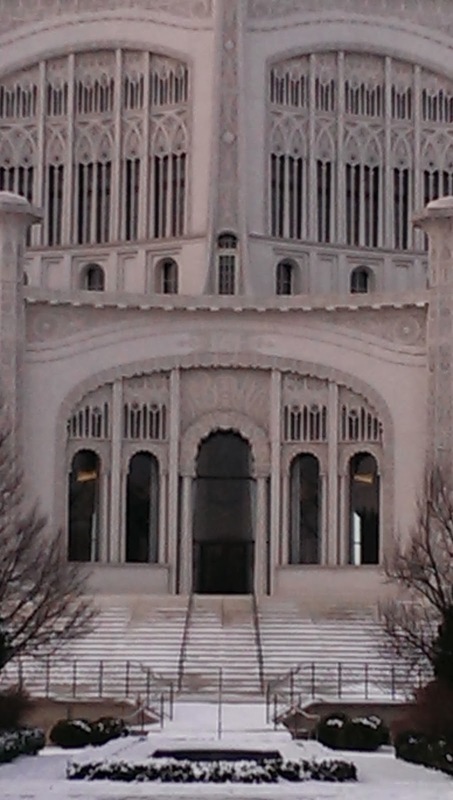 I visited on an excruciatingly cold day entering the warm serene hall. I paused to say a prayer for Gary. The space invites prayer and meditation. Like the seven other Baha’i Houses of Worship across the world each is based on the belief of the oneness of God, hence the open invitation to all faiths. One doesn’t have to choose which faith. Everyone “wins”. No game playing. Baha’is believe in progressive revelation with one God who gave the world many messengers. 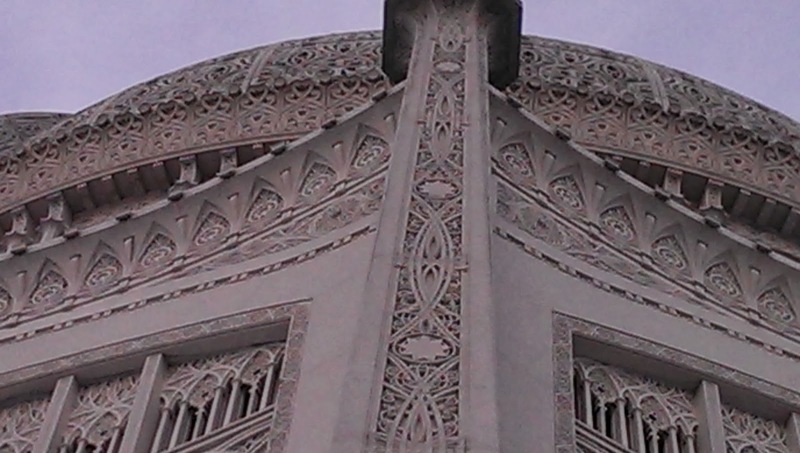 The intricately carved walls of the Baha’i House of Worship include symbols from every religion. The walls were built using forms filled with concrete and white quartz rocks. The entire façade was renovated in the last few years, a challenging task. 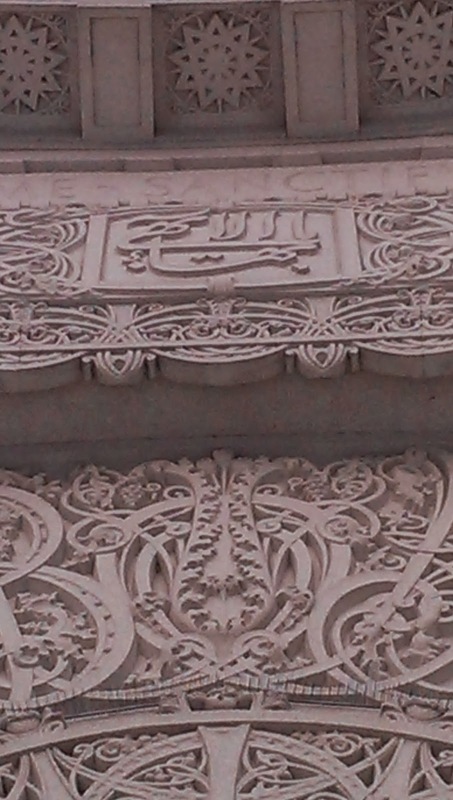 There are currently seven Baha’i Houses of Worship around the world. The Chilean House of Worship is the newest one being built. (http://templo.bahai.cl/concepto_eng.htm) Do look it up. You will find it most striking. Last year as I wandered through Heathrow Airport in London, I came up short at the above mural. The Lotus! 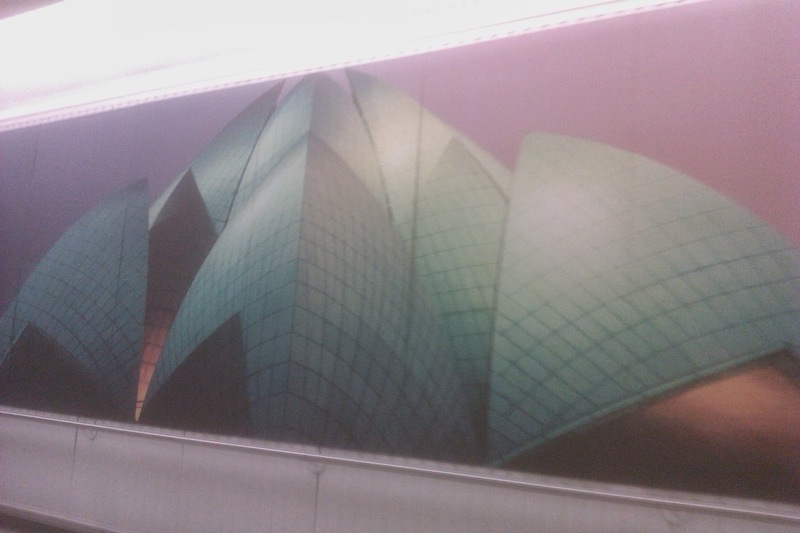 The Baha'i Lotus Temple in India has been visited by millions of people. When I moved to Walla Walla, I made friends with Jan. She was a parent in a parent co-op where I taught. She seemed to make decisions and offer comments from some well of wisdom. As we became friends I realized that she was a Baha’i, a faith that I had not heard of. Over the years I learned more from her and others in the Baha’i community. Eventually I became a Baha’i. 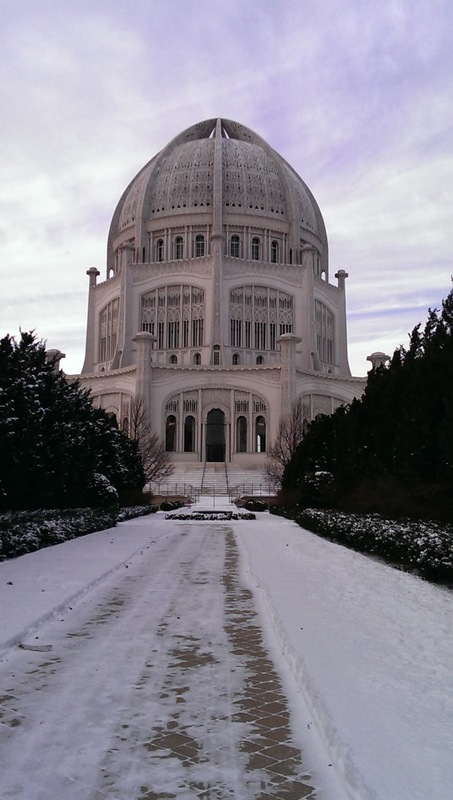 This was my first visit to a Baha’i House of Worship. This was a cherished day of this journey.